Samsung has announced their Unpacked event for 2014, which is set to take place in Barcelona on February 24th. In addition to that, the company either has a bad sense of subtlety or just wants to make it plain obvious that the rumored Galaxy S5 will be announced at the event. Samsung says it will be announcing its “new flagship product,” so unless plans have drastically changed at the Korean company, the Galaxy S5 will undoubtedly be the subject of the show. 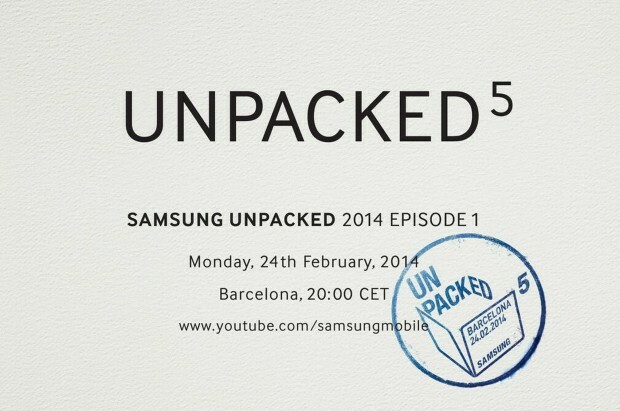 A new version of the Galaxy Gear smart watch is also rumored to be unveiled alongside the Galaxy S5, but other than that, not much else is known about the event. The event will also coincide with the beginning of Mobile World Congress, which is scheduled to be held from February 24 to 27.